Have HOPE today, tomorrow and always with inspiration filling your every day lives. 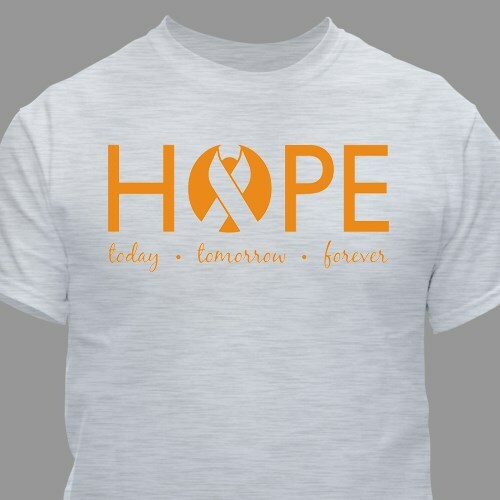 This awareness design is available on our premium 100% cotton, machine washable, white or ash gray t-shirt in youth sizes XS-L and adult sizes S-4XL. 4XL is available in white only. Orange isnt what it appears. Design is iron on.